Just a day ago, we reported that iPhone DevTeam had released an update to the Redsn0w jailbreak tool with the support to untethered jailbreak iOS 5.0.1 on iPad 2 and iPhone 4S on both Windows & Mac OS. However, on the other side, the jailbreak iPhone hackers are also working on discovering the new iOS 5.1 exploits for the untethered jailbreak on the new-generation devices, and as well as on older devices. The work of discovering new exploits is still under process, but in the last few days, we have noticed that jailbreak hackers are now again pretty active on their social profiles with some schedule updates regarding the new jailbreak tools and exploits. Some days ago, Pod2g, the member of Chronic DevTeam claimed on Twitter profile that he had discovered all the required exploits to jailbreak iOS 5.1 on iPhone 4S, iPad 2, and other latest generation devices, and now he and his team will work on trying these new discovered exploits on the devices. Right after a day of its claim, we again come to know from his official blog that he has been also able to bypass the ASLR security of the iOS devices, and now he will load the payloads, and other exploits to finally land the Cydia on the new-generation devices. Now, once they complete their testing and loading the payloads on the testing devices, they will apply the exploits independently on the new iPad, and iPhone 4S devices. 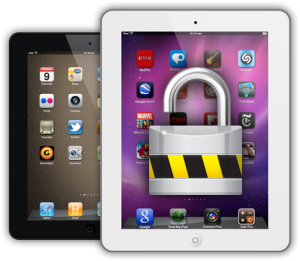 The hackers also claimed on the launch of iPad 3 that the device would be vulnerable to iPad 2, and iPhone 4S jailbreak exploits that means that iOS hackers won’t have to work more on discovering new exploits for the iPad 3 users. It seems that iPad 3 users are bit lucky this time, as they will get jailbreak very soon, right after the launch of the device in public. Meantime, the other iPhone Jailbreak community hackers are working on updating their current jailbreak utility tools to support the latest iOS firmware versions and devices for the final time of iOS 5.1 Untethered Jailbreak While there are coupled of updates regarding iOS 5.1 untethered jailbreak, there are still no words on the release of the iOS 5.1 untethered jailbreak tool in public.